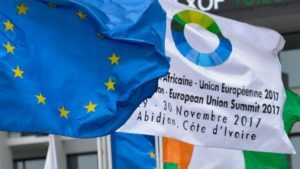 The Polisario and Algeria have bet until the last minute on the withdrawal of Morocco from the AU-EU summit in Abidjan, but their calculations were shattered by King Mohammed VI who decided to participate in person at the major Euro-African Mass to be held in Côte d’Ivoire November 29 and 30. Rabat’s decision to definitely abandon the policy of the empty chair showed that it understood the game of the Polisario and Algeria and became pragmatic. Morocco, already actively present in Africa at the economic and diplomatic level, is determined to be also as present in all the institutions of the African Union. Besides, the Polisario leaders have no influence in this kind of summit meetings, so their presence does not make any difference, and the pseudo-republic of the Sahara, the “SADR”, self-proclaimed by the separatist movement with the support of Algeria, is recognized only by a minority of African states (13 countries out of 53). For its part, the European Union, the AU’s partner at the Abidjan summit, has made it clear that the participation of the “SADR” does not mean a European recognition of this entity, which is not recognized by the UN nor by any major world capital. Meanwhile, Morocco has chosen not to mortgage its privileged political and economic position in West Africa and several sub-Saharan countries, by a useless absence from the Euro-African Summit in Abidjan. Moreover, the Kingdom boasts a laudable immigration policy that enabled to regularize the situation of 24,000 migrants, mostly from sub-Saharan countries. This, at a time when the issue of migration should figure high on the summit agenda, after the scandal of the auction of African migrants as slaves in Libya. Several African heads of state have been outraged by the fate reserved to the Africans stranded in Libya, and Nigerian President Mahamadou Issoufou has insisted that the slavery scandal be put on the agenda of the summit to be attended by more than 80 heads of state and government from Europe and Africa.